Petunias grow well on a wide range of soil textures, from light to heavy. they are excellent for mass bedding and borders can also be grown. Seed can be sown in Spring and continued through to mid Summer. Petunia seed is very small and extra care should be taken in raising the seedlings. Like many small seeds, petunias need light and fairly warm conditions to germinate. 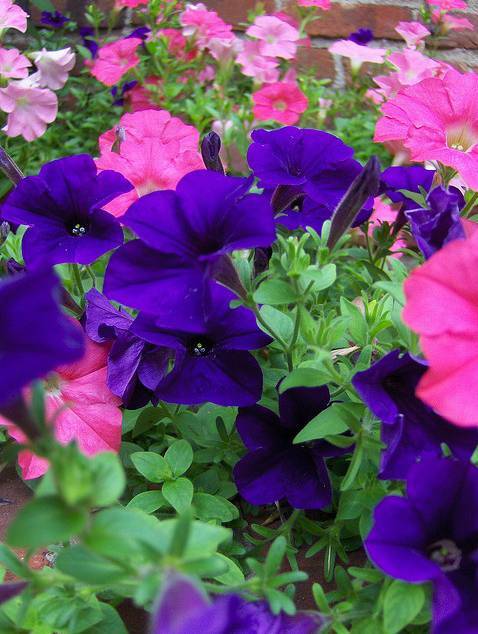 When established, petunias need little attention apart from occasional watering if the soil becomes dry. After the first flush of flowers, plants can be cut back for a second bloom in late Summer or early Autumn.